The Acid-Rite system, which consists of proprietary three-inch-round, sodium-bisulfate-based erosion tablets, eliminates the need for bulk drums of muriatic acid, metering pumps and associated tubing. It can also replace mixing tanks used to dissolve granular sodium bisulfate or CO2 gas cylinders. In spring 2017, Axiall Water Treatment Products launched its first Acid-Rite model 2500 system designed to service commercial pools up to 1 million gallons in size. “Based upon the acceptance of this new technology, along with requests for a more compact feeder, we engineered the 450 unit with a much smaller footprint,” said Austin Looper, Director, Axiall Water Treatment Products. “Maintaining proper pH is critical to everything when it comes to recreational water. For example, a pH of 7.2 to 7.6 allows sanitizers to operate at an optimal performance, which in turn safeguards swimmers against harmful pathogens. Additionally, a proper pH helps to protect the infrastructure of the pool itself.” With the addition of the Acid-Rite model 450 system, commercial swimming pool facilities with smaller bodies of water will now be able to benefit from Axiall’s tablet pH adjustment system. The Acid-Rite system helps commercial pool operators avoid liquid acid spills and reduces the likelihood of inadvertently mixing concentrated chlorine and acid solutions. Acid-Rite tablets are colored red to distinguish them from traditional chlorine tablets, which are typically colored white or blue. 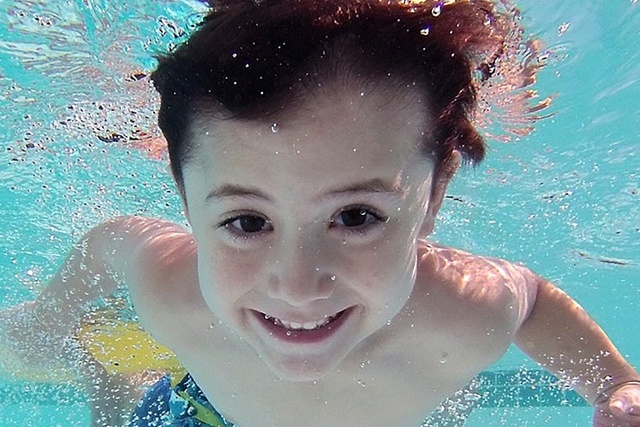 For more than 25 years, Axiall Water Treatment Products has pioneered tablet-erosion technology and delivery systems for the commercial aquatics industry. 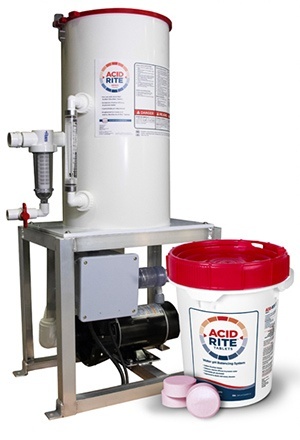 To learn more about the Acid-Rite system, and request additional information please visit www.Acid-Rite.com. Westlake Chemical is an international manufacturer and supplier of petrochemicals, polymers and building products with headquarters in Houston. The company's range of products includes: ethylene, polyethylene, styrene, propylene, chlor-alkali and derivative products, PVC suspension and specialty resins, PVC compounds, and PVC building products including siding, pipe, fittings and specialty components, windows, fence, deck and film. For more information, visit the company's Web site at www.westlake.com.